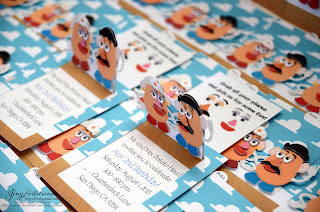 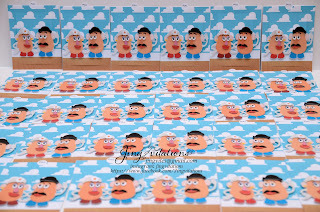 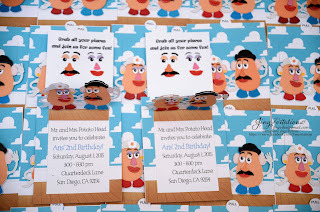 Toy Story Mr and Mrs Potato Head Invitation. 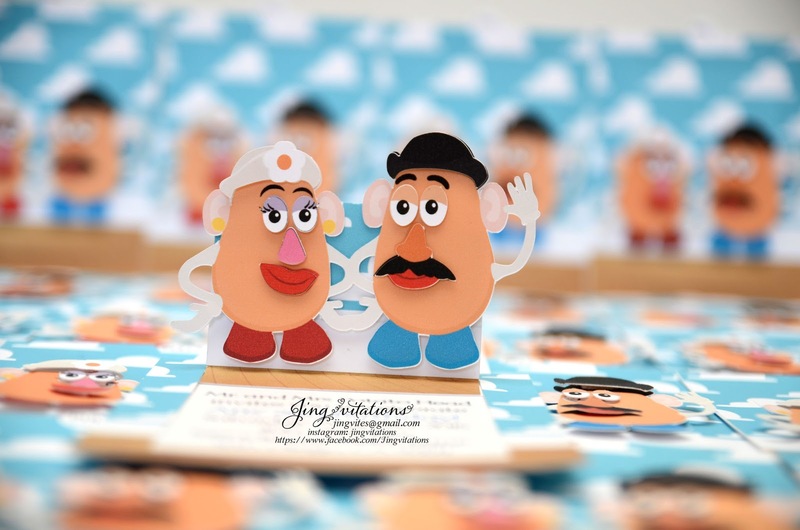 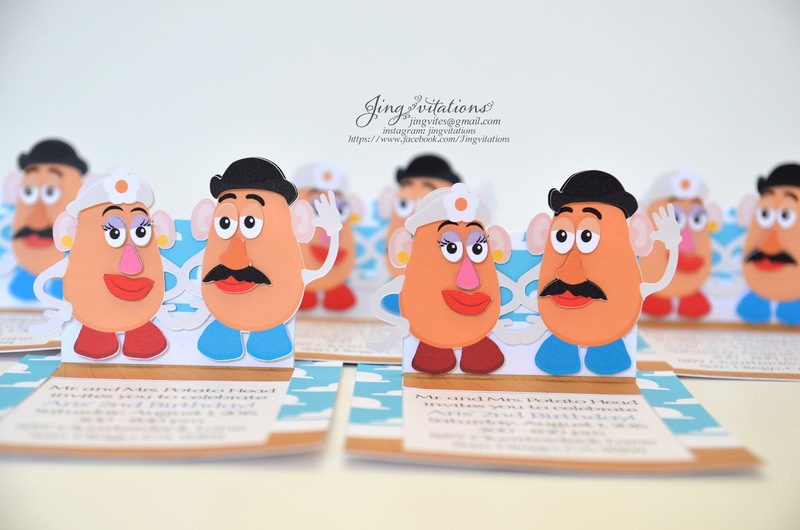 Pop up invitation featuring Mr and Mrs Potato Head! 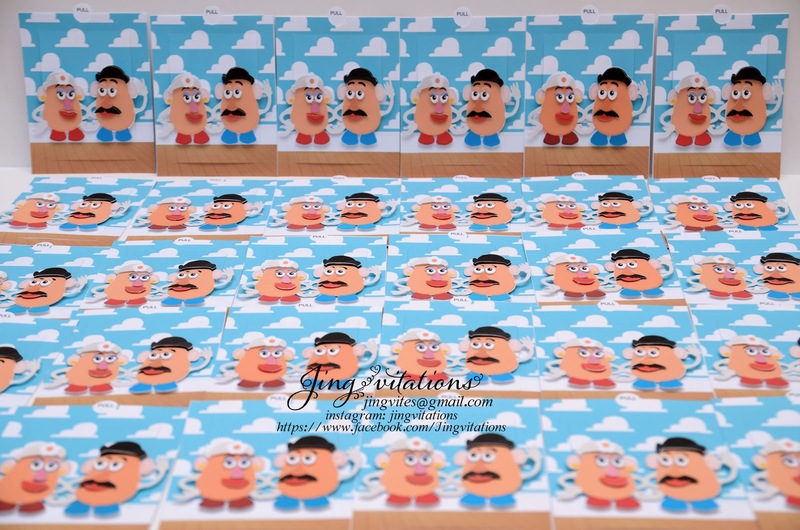 Face parts are dimensional. 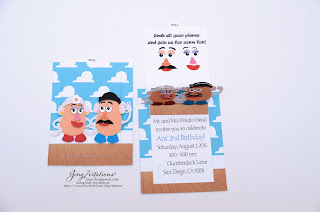 Pop up but folds flat to fit in an envelope. Can be used as girl or boy's birthday party invitations!